A love for Athens, a passion for healthy living and a desire to empower women unites three female business owners in Athens. They say that despite the struggles of being a woman business owner, they have overcome those struggles together by forming a group for business and friendship. Connie Popwell, owner of Pure Barre Athens, met both Amy Lawrence (Journey Juice) and Ruby Chandler (Shakti Power Yoga) at the Lululemon store in Athens. All the women worked together as Lululemon ambassadors and kept in touch as they opened their respective businesses. Popwell explained that the culture of her business is to uplift and encourage her clients to feel their best. Her mantra is to not let her womanhood define her; she just aims to be a successful person. Popwell also said Athens is her favorite town because of how close the group of entrepreneurs in the fitness world are. 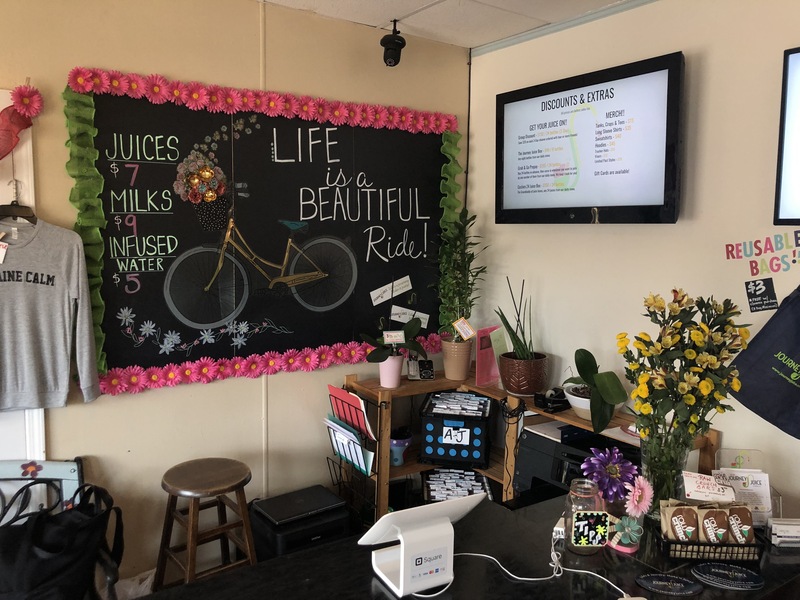 Although there is competition between each business, she said they all have the common goal of making Athens a fit place that is centered on wellness and community. 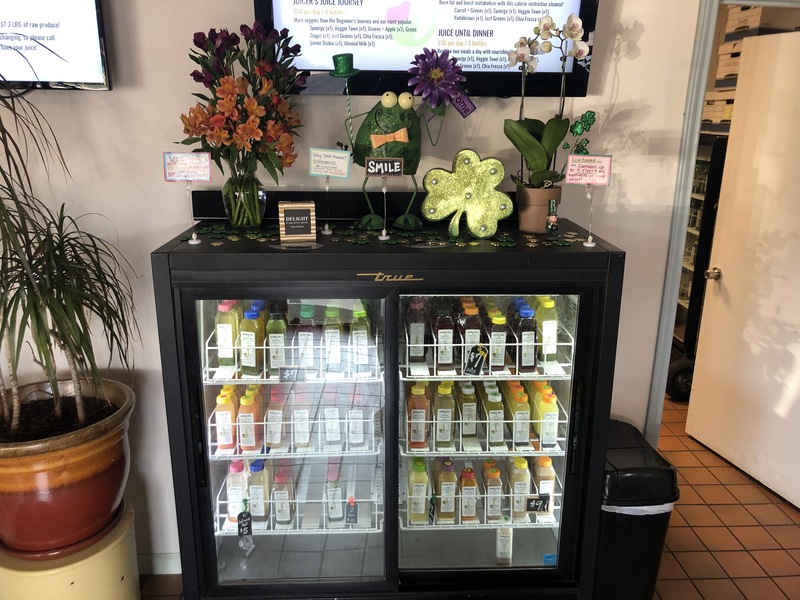 Amy Lawrence said the hardest part about opening Journey Juice was believing in herself and her ability to run a successful juicing business. She said Athens is the best place to own a business as a woman because there is a tribe of women who support each other. all of us want the other one to be successful,” Lawrence said. She and Ruby Chandler, of Shakti Power Yoga, share healthy habits of running and practicing yoga together. This banded group helps relieve some of the stress the women might have from running their businesses. Lawrence said they have created a place that helps them take a break from life. Journey Juice cooler with juices that are made in house. whenever there is a crisis you don’t feel like the world is ending or the sky is falling, there is a tribe of people always there to build you back up and tell you everything is alright,” she said. The youngest of the support group is Ruby Chandler, owner of Shakti Power Yoga. She describes Popwell and Lawrence as a powerhouse of female entrepreneurs, which she felt connected to and inspired by, while working with them at Lululemon. Chandler looks up to them to get advice on how she can improve her business and connect it more with the community. The group gets together for lunch at least once a month. Chandler said they do not always talk about business, but also who they are as people and where they see themselves growing and expanding. 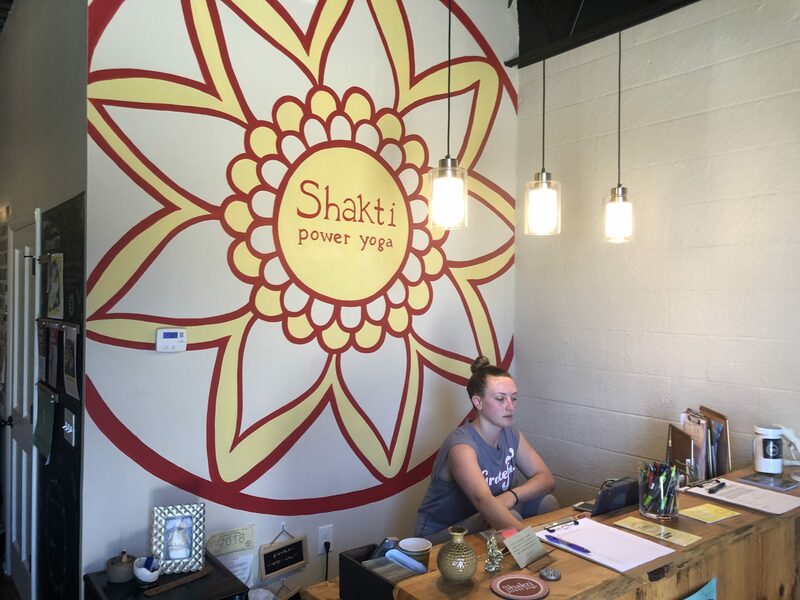 Ruby Chandler, owner of Shakti Power Yoga Athens, working at her desk. These get-togethers make Chandler feel hopeful and encouraged. It helps bring a larger purpose to their careers, and Chandler said she enjoys working alongside women of such integrity and purpose. She thinks there is value in looking beyond the sphere of women business owners in fitness and to expand. Chandler is confident that there is room for all women to succeed. These women shared some takeaways they have learned throughout their course of their business ventures. 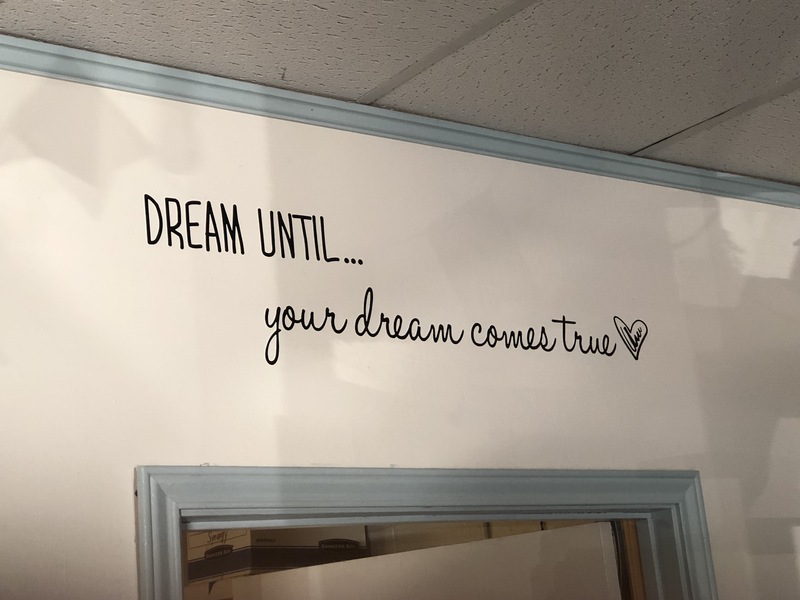 Quote on the wall of Journey Juice, owned by Amy Lawrence. Lawrence of Journey Juice, wants women to know that the biggest mountain can be yourself and your confidence. To help with her success she practices visualization, something she encourages aspiring entrepreneurs to try. She said it is imperative to keep pushing the envelope. don’t stop even after you have achieved your goal,” Lawrence said. She also emphasizes the little things. Lawrence believes they are what that make the goal at the end so much more momentous. Chandler wants women to remember that all competition is not healthy. She affirms that her business is not in jeopardy by having relationships or encouraging another woman. Showing up for one another makes the entire collective that much more powerful, in her opinion. 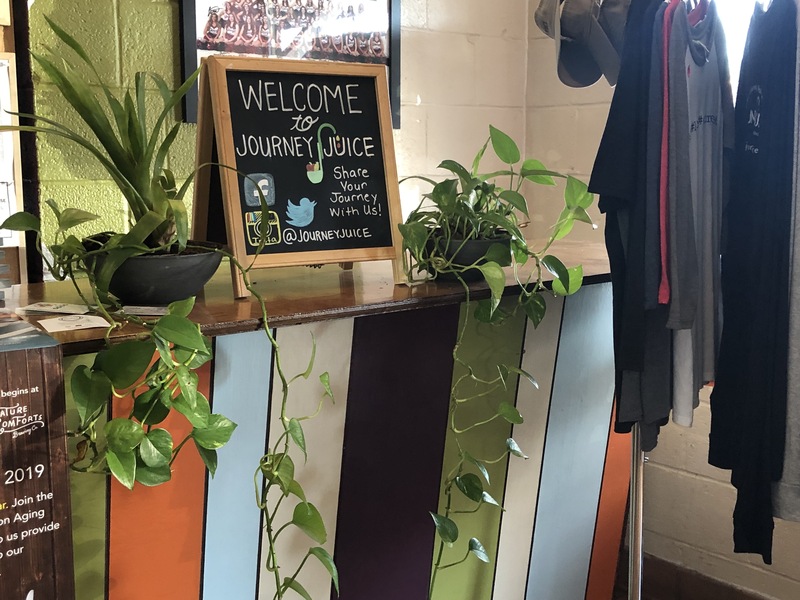 The desk at Journey Juice, where guests purchase their items. Majesti Bass is a senior at the University of Georgia pursuing a bachelor’s degree in journalism.